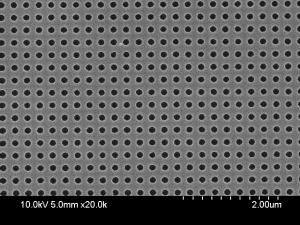 Interference lithography is a technique for creating very small periodic structures without the limitations of conventional lithographic systems. 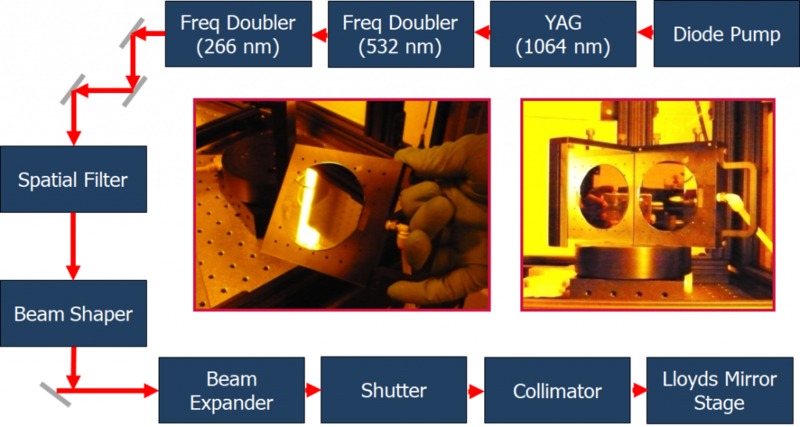 We can easily reach the diffraction limit without having to use high-numerical aperture optics, and the depth of focus is unlimited. 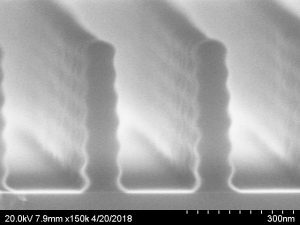 We can make one and two dimensional periodic structures with features as small as 100nm over several square inches of area. The limitation is that it can only produce periodic structures. However, this is not as limiting as it may appear at first. 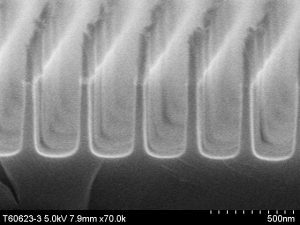 The critical steps in a CMOS processes, i.e., gate definitions, are in fact done in a periodic configuration (albeit not using interference lithography). 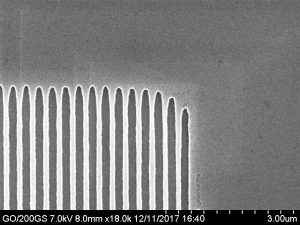 Currently we are using this technique to make wiregrid polarizers, diffraction gratings, waveguide couplers as well as nanopatterned templates for other applications such as crystal growth. The system uses a 266nm deep-UV laser with a Lloyd’s mirror configuration. By rotating the stage, we can make periods ranging from 200nm to 1000nm. The resist is then used to etch into the underlying structure. Alternatively, lift-off patterning is also used. We can also use a masked system in combination with laser intrference. This allows us to create pixel polarizers, which are useful components in imaging polarimetry.